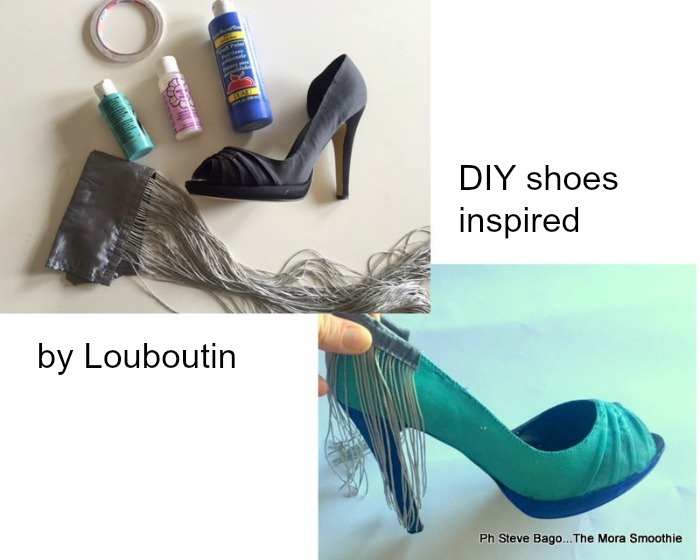 The Mora Smoothie fashion blog, DIY fashion by Paola Buonacara: Fashion DIY shoes inspired by Louboutin! Hi guys out there, today a new Fashion DIY! Buongiorno amici, oggi un nuovo Fashion DIY! It was a long time since I wanted to make them, but I could not find the perfect fringe, but then the lighting and here I am to realize them. NEEDED: shoes, colors, medium for fabric, fringed, double-sided tape. TUTORIAL: I started painting shoes (you have to add medium for fabric to the color to make it stronger), with the two colors chosen by me. After drying the color I applied fringes with double-sided tape (my fringes are a piece of a tent). Et voila the shoes are ready for the full tutorial check out the following YouTube video! Era da tanto che volevo farle, ma non riuscivo a trovare le frange perfette, ma poi l'illuminazione ed eccomi qui a realizzarle. NECESSARIO: scarpe, colori, medium per tessuto, frange, nastro biadesivo. 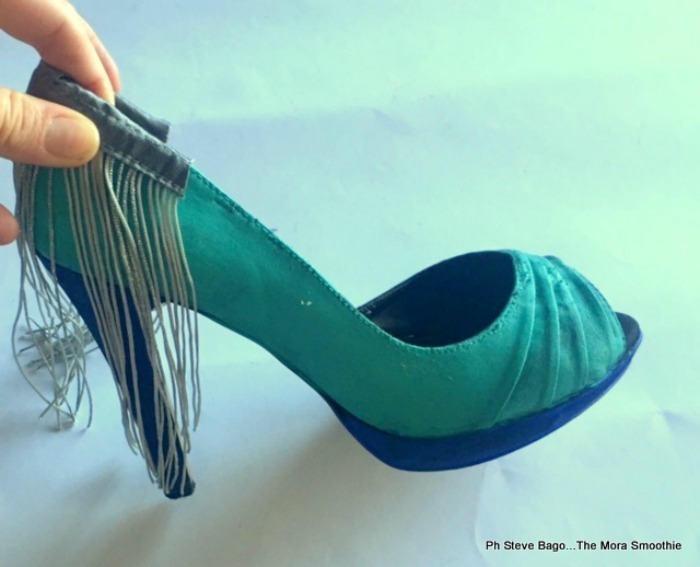 TUTORIAL: ho iniziato a dipingere le scarpe (al colore serve aggiungere un pò di medium per tessuto per renderlo più resistente), con i due colori da me scelti. Dopo aver fatto asciugare il colore ho applicato le frange con del biadesivo ( le mie frange sono un pezzo di tenda). Et voilà la scarpa è pronta, per il tutorial completo vi lascio il video!